Modern luxury apartments in the heart of Malaga. Properties of 1,2,3 bedrooms with a modern and elegant design. Kitchens equipped and open to the living room, panoramic windows, terraces and patio. 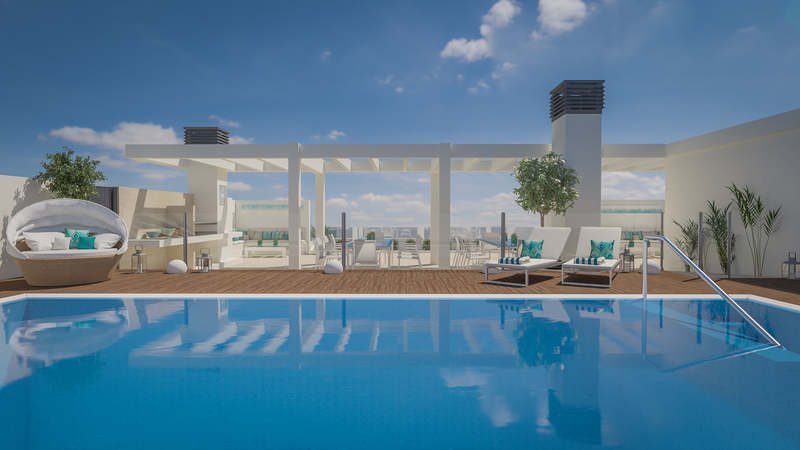 The building will have 26 apartments spread over 4 floors, a swimming pool, a relaxation area and barbecue. The units will be designed with open spaces letting in the maximum of natural light. Live and enjoy all the advantages of downtown to do your daily shopping, take the bus or the train. The beach promenade and the beach are 150 meters away. The prices are as follows: 1 bedroom 169,500 €, the 2 bedrooms start at 216 000 € and the 3 bedrooms start at 298 000 €. Parking spaces and storage rooms are sold separately.